Standard Pre-engineered ROLLC blast doors are based on the technical specific provisions issued by the Finnish Ministry of Interior. 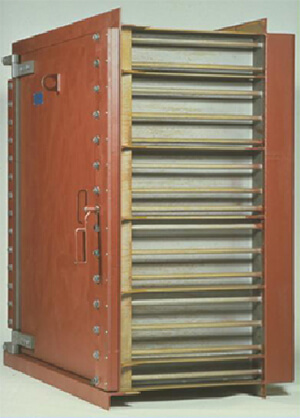 These doors are available in wide size range single and double doors with level of protection ranging from 1.0 bar to 18 bar peak reflected overpressure. The standard Temet blast resistant doors are featured in details in ROLLC leaf let son was a high-explosive component facility.